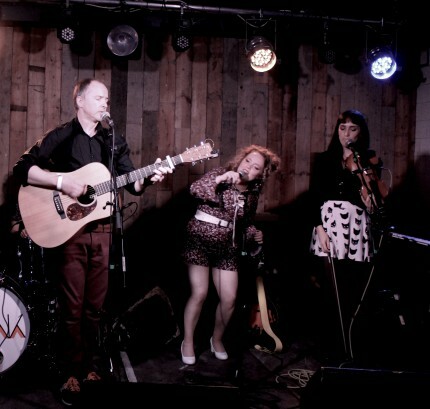 Scarlet Starlings are London-based alternative folk band made up of cousins, friends and significant others. We grew up listening to our large musical family playing jangly folk music like Fairport Convention, Crosby, Stills & Nash and The McGarrigles. Granny Maisie, the family matriarch, taught each of us how to play on an old Takamine guitar held together by a piece of Meccano. Mike Scott brought his love of electro pop and Grant Lee Buffalo to the mix – he and Sara-Mae have been writing songs together for years. Now, we love bands like Fleet Foxes, Sufjan Stevens, Conor Oberst and Unknown Mortal Orchestra. The band is Sara-Mae (lead vocals) and Mike Scott (vocal, guitar), Khalid Ham (bass), Amy Baker (percussion) and Talitha Gamaroff (violin, vocals). Our music was on the soundtrack of 2011 Portabello Film Festival award winning documentary, ‘Hard to Get: From Patient to PinUp. Our song ‘Ransom’ was played on Gary Crowley’s BBC London Calling radio show. 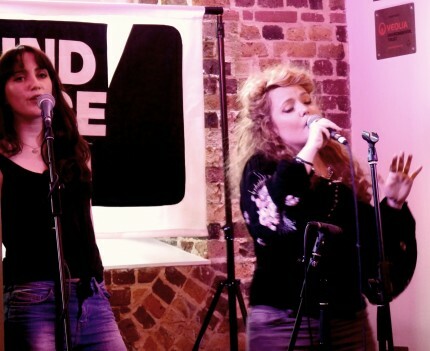 We have played at festivals Lakefest 2013, Shuffle Fest London 2013 and a variety of venues across London including The Old Queens Head Islington, Folklore at the Half Moon in Putney, Into the Warm at The Harrison Kings Cross and many more. It was mostly recorded at a small studio just outside Oxford, England. Jason King at Shed Studios recorded So Glad You Stayed, The Wolf, Montauk, You Give It All Away and Beckons. John Laurence (of Gorky’s Zygotic Mynci) and Geraint Jones mixed and mastered those tracks. Daniel Green of Laish mixed and mastered Anyone Can Say I Love You, Death of Innocence, Don’t Fix it and Shape You’re In.